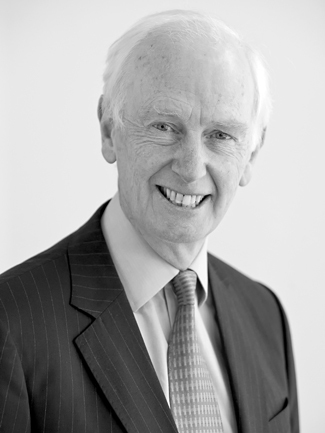 Mr Brasher was appointed as a director on 29 September 2010 and became Chairman on 30 June 2012. He is a non-executive director of Amcor Limited, Deputy Chairman of the Essendon Football Club and a board member of Teach for Australia. He is also a former director of Perpetual Limited. From 1982 to 2009, Mr Brasher was a partner of PriceWaterhouseCooper (and its predecessor firm, Price Waterhouse), including five years as the Chairman of the Global Board of PriceWaterhouseCoopers. Ms Fagg was appointed a director on 15 April 2014. Ms Fagg is Chairman of Boral Limited, Chair of the Melbourne Recital Centre, Chair of Breast Cancer Network Australia, a non-executive director of Djerriwarrh Investments Limited, a board member of the Commonwealth Scientific and Industrial Research Organisation (CSIRO), a board member of the Grattan Institute and a board member of the Australian Centre for Innovation. Ms Fagg is also President of Chief Executive Women. Ms Fagg was previously a non-executive member of the Reserve Bank of Australia and President of Corporate Development at Linfox Logistics Group. 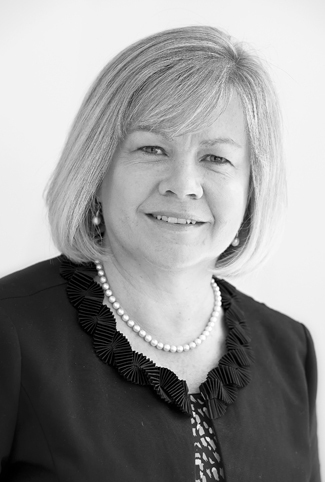 Prior to that, Ms Fagg held executive roles with BlueScope Steel and Australian and New Zealand Banking Group. Ms Fagg was also a consultant with McKinsey and Co. after commencing her career as a chemical engineer. Ms McGrath was appointed as a director on 15 September 2011. Ms McGrath is currently Chairman of Oz Minerals Ltd. She is a non-executive director at Goodman Group, non-executive director of ICPF Holdings Limited and independent Chairman of Scania Australia Pty Ltd. During her 23 year career with BP plc, Ms McGrath held a number of senior roles including as Chief Financial Officer and Executive Board member of BP Australia and New Zealand. Mr Breunig was appointed as a director on 5 June 2017. Mr Breunig is a U.S. resident and is currently a non-executive director of Mineral Technologies Inc. Mr Breunig was previously Executive Vice President, Chemicals, at Axiall Corporation (formerly Georgia Gulf Corporation) and, prior to that, spent 24 years at BASF Corporation where he held a number of senior executive positions including Executive Vice President and Chief Operating Officer, BASF Corporation, and President, Market and Business Development, North America, BASF SE. Mr Kruger was appointed as a director on 5 June 2017. Mr Kruger is the former Managing Director & CEO of Toll Holdings Limited, having joined Toll in 2009 as Chief Financial Officer, before being appointed Managing Director in 2012. Prior to joining Toll, Mr Kruger had a career spanning 25 years in the resources and industrial sectors in Australia and the U.S., initially with BHP and subsequently with BlueScope Steel which he joined on its demerger from BHP. During his time at BlueScope, he held a number of senior corporate finance and management roles, including President, North America & Corporate Strategy & Innovation, President, Australia Manufacturing Markets and was the company’s inaugural Chief Financial Officer. Mr Kruger is also Chairman of Racing Victoria Limited. Mr Brook was appointed as a director on 3 December 2018. Mr Brook is a non-executive director of CSL Limited and Newmont Mining Corporation. He was previously Chairman of Programmed Maintenance Services Limited and Energy Developments Limited and non-executive director of Boart Longyear Limited. During his executive career, Mr Brook was the Chief Financial Officer of Western Mining Corporation Resources Limited and Deputy Chief Financial Officer of the Australian & New Zealand Banking Group. Ms Johns was appointed Managing Director & CEO on 9 August 2017 and commenced in the role on 15 November 2017. Ms Johns is a global executive and chemical engineer with over 25 years’ experience in the international refining, petrochemicals, oil and gas industries. After joining BP in 1986, Ms Johns worked throughout her career with BP in various locations and executive roles including as President, Asian Olefins and Derivatives (China), President, BP North America Natural Gas Liquids (United States), Head of Operating Management System Excellence for BP Group (United Kingdom, Global) and Global Head of Safety & Operational Risk, BP Downstream (United Kingdom, Global). Ms Johns is a former non-executive director of Tate & Lyle plc and Parsons Corporation.